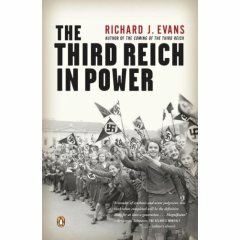 Description: This magnificent second volume of Richard J. Evans's three-volume history of Nazi Germany was hailed by Benjamin Schwartz of the Atlantic Monthly as "the definitive English-language account... gripping and precise." It chronicles the incredible story of Germany's radical reshaping under Nazi rule. As those who were deemed unworthy to be counted among the German people were dealt with in increasingly brutal terms, Hitler's drive to prepare Germany for the war that he saw as its destiny reached its fateful hour in September 1939. The Third Reich in Power is the fullest and most authoritative account yet written of how, in six years, Germany was brought to the edge of that terrible abyss.